Hudson's Bay has a great sale today! 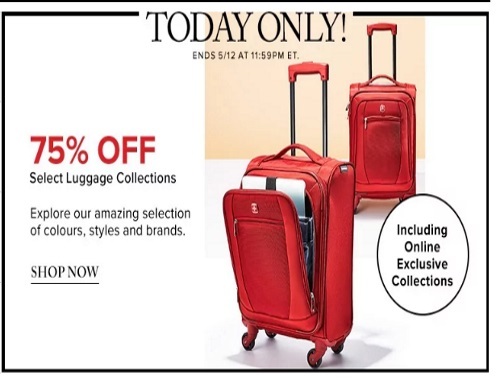 Save 75% off select luggage collections! Explore amazing selection of colours, styles and brands! Offer is valid today only, Friday May 12, 2017.